It has been a year since I have seen bubble net feeding in Alaska. But this show took us all by surprise. 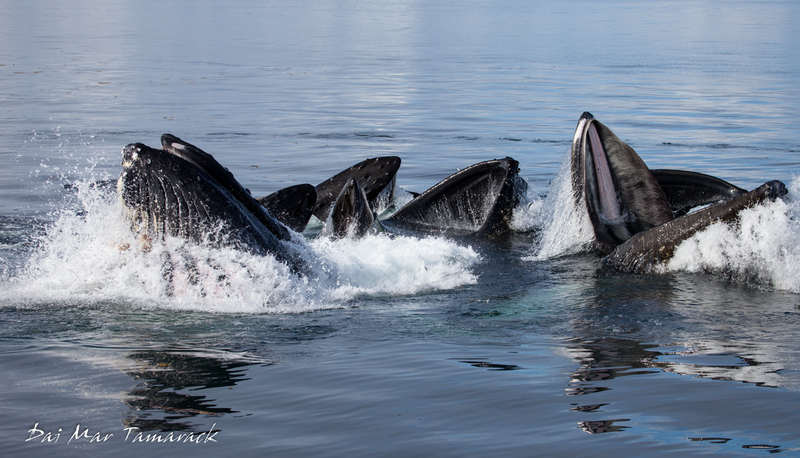 Last week we barely saw any humpback whales at all. 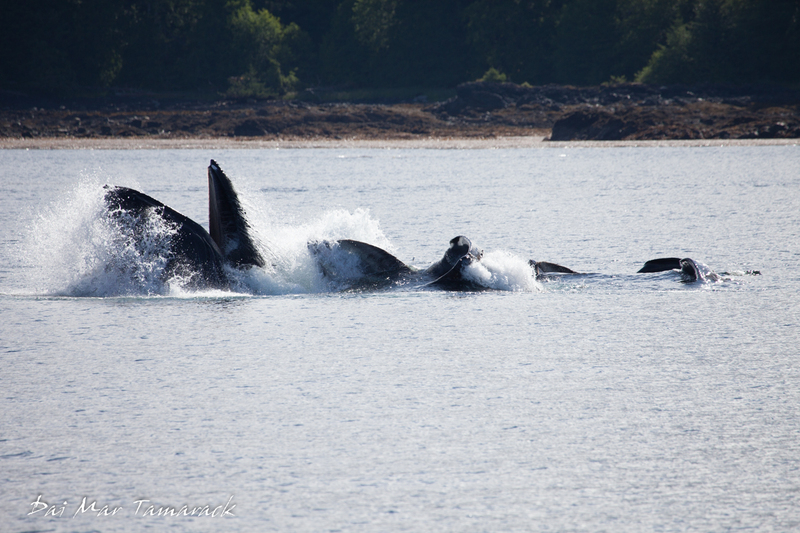 We had a few far off tails from whales on the move. So when I spotted a group of several blows all together I made sure we altered course to give the guests a better look. Turns out it was a good thing that we turned because right after everyone walked out to the bow to see them we saw the circle of bubbles forming. What followed next was awe-inspiring. The entire group of whales erupted from the center of the bubble ring, mouths wide open, tiny fish jumping everywhere trying to get away. This was bubble net feeding, and it was happening right in front of us. Not a bad start for day 1 of the cruise. 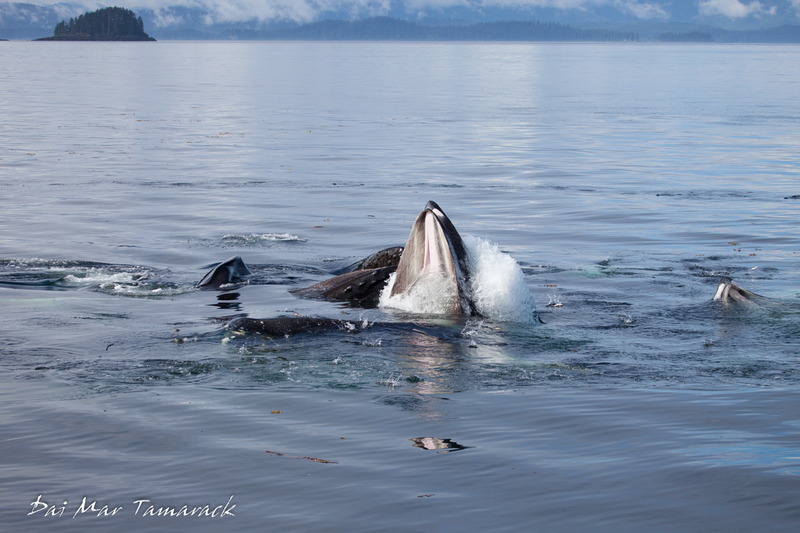 We stayed with the whales as they continued to bubble net feed 11 more times. I was also able to deploy our hydrophone so we could hear the bubble net feeding as well. The feeding screams reverberated through our ears as we watched the whales perform this amazing, choreographed feeding behavior. To make it even more special we realized that we were all alone, no other boats for as far as we could see. Leaving a comment is a great way to provide feedback, ask further questions, and inspire more answers...so go for it.